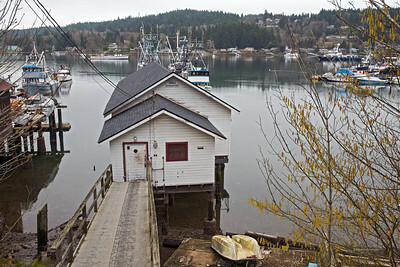 One of the few remaining netsheds being used as the fishermen's office, workshop, garage and home away from home when not out on the Sound or up in Alaska fishing. 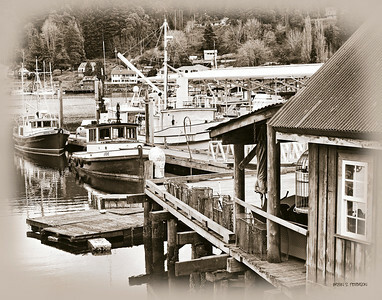 Net shed and purse seine commercial fishing boats in Gig Harbor, Washington. 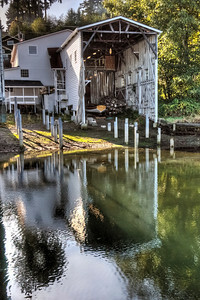 9 shot hdr image. 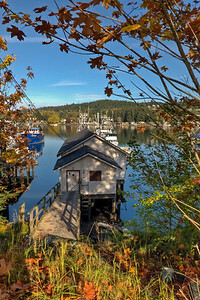 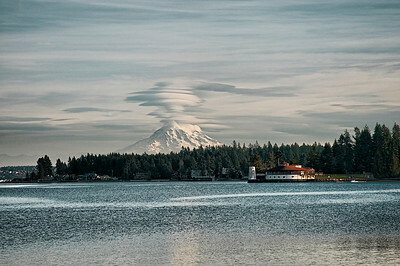 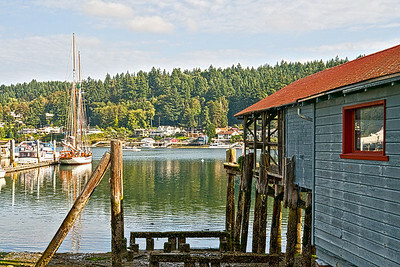 Eddon Boatyard in Gig Harbor, Washington is the birthplace of the Thunderbird sailboat. 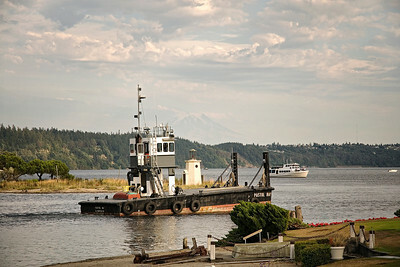 Hull number 1, built by Ed Hoppen, rolled down the ramp into the bay in 1958 and can be seen at the Gig Harbor History Museum. 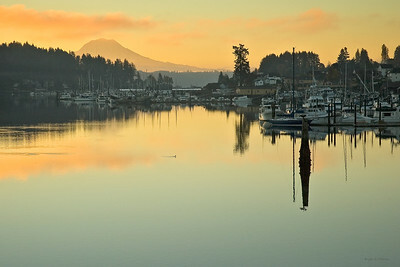 Late afternoon sun on Gig Harbor Bay. 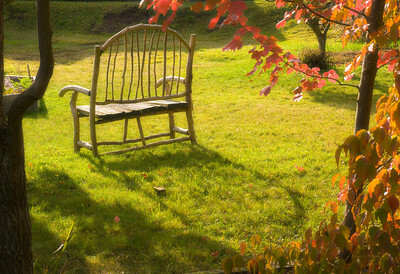 Three shot HDR image. 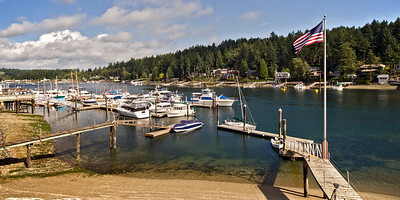 Commerical and pleasure boats in Gig Harbor, WA. 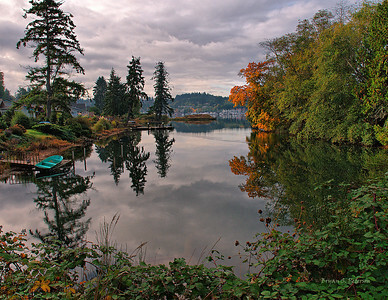 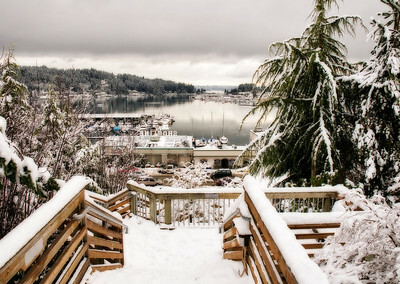 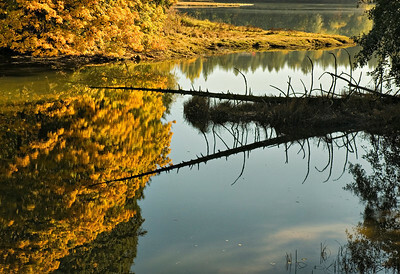 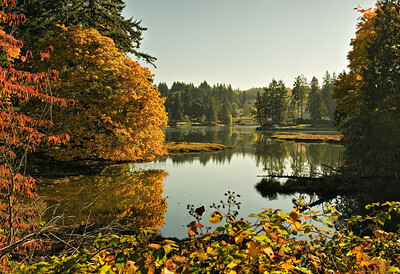 Gig Harbor from Crescent Creek. 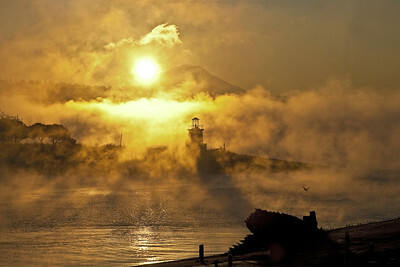 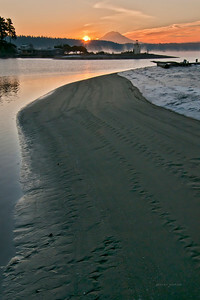 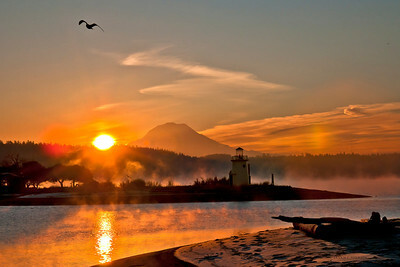 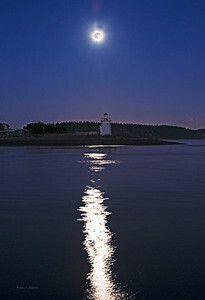 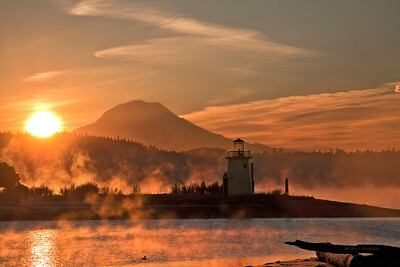 Sunrise over Mount Rainier and the Gig Harbor, Washington lighthouse January 2, 2011. 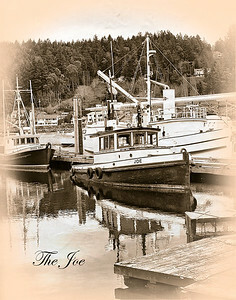 2011 Blessing of the Fleet (Gig Harbor Fest), Gig Harbor, Washington. 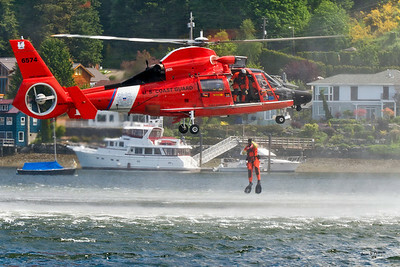 Coast Guard HH-65C Dolphin out of US Coast Guard Air Station Port Angeles, WA dropping a swimmer in Gig Harbor demonstrating an air/sea rescue operation. 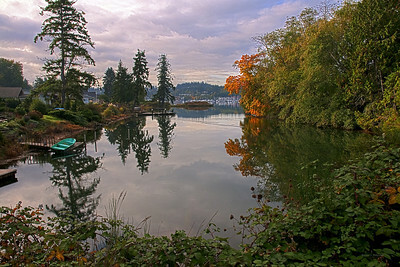 It's the middle of September and all the boats are buttoned up awaiting the rains of winter. 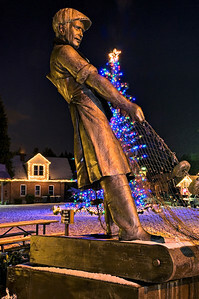 Statue of Samuel Jerisich, first resident of Gig Harbor. 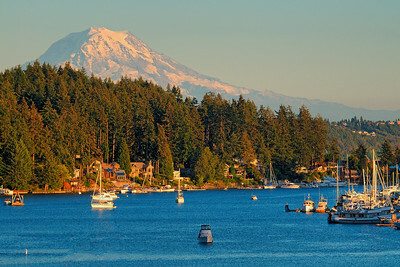 First white settler of Gig Harbor. 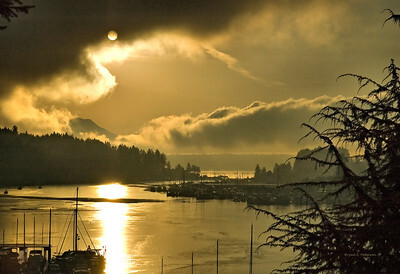 Sunlight through the fog rising off of the wanters of Gig Harbor and Puget Sound.